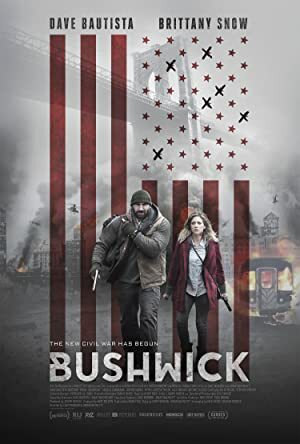 Bushwick (2017) – What's New on Netflix Canada Today! BUSHWICK tells the story of twenty-year- old Lucy (Snow) and war veteran Stupe (Bautista). Texas is trying to secede from the U.S., and NYC is being used as a negotiation tool. Lucy meets Stupe after coming up from the subway into the military invasion of Brooklyn. Together they decide to cross the treacherous five blocks of Bushwick – littered with looters, local militias, the invading forces, and one crazy cousin – in order to get home and be reunited with Lucy’s grandmother. When a Texas military force invades their Brooklyn neighborhood, 20-year-old Lucy and war veteran Stupe must depend on each other to survive.